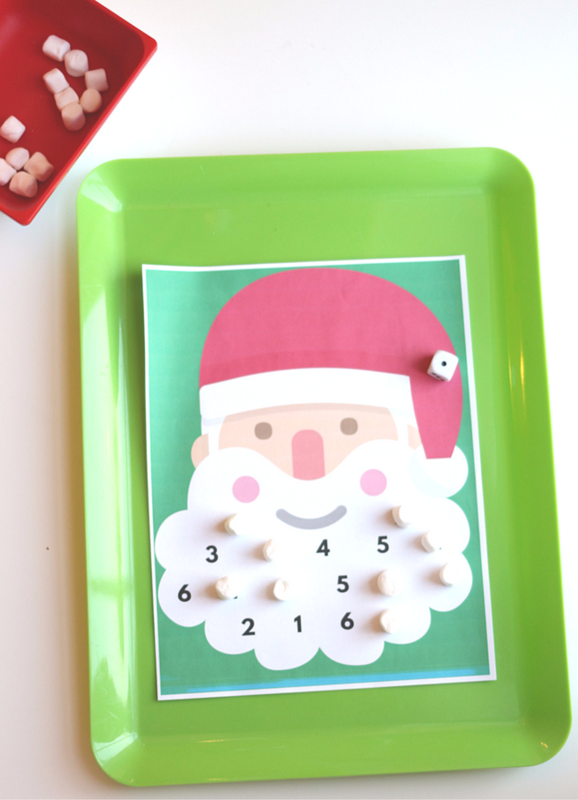 I made this Santa math game up a million years ago ( I think six really…), but it was way before I made printables or even had a color printer. After YEARS of readers asking me to make this into a printable I finally did. Here is the original post. My youngest doesn’t even fit into those PJs anymore. Why do they have to grow so quickly?? Gather your materials. 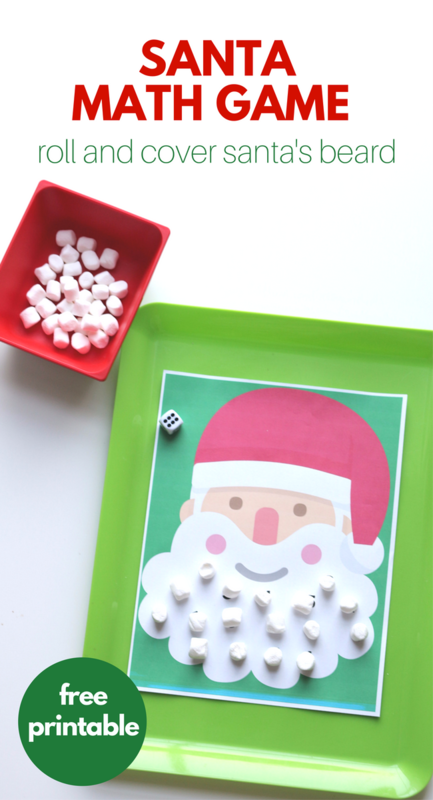 You will need a tray, a dish for the marshmallows, mini marshmallows ( of course buttons or bingo chips work too), and the printable game board <— click that to print it out! All children should have a Santa they recognize and connect with. 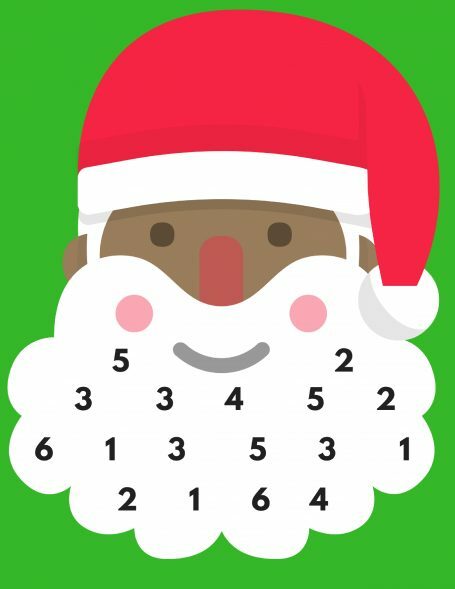 I made more than one version of Santa if this Santa looks more like the one your child imagines Print it out here <— click to print. 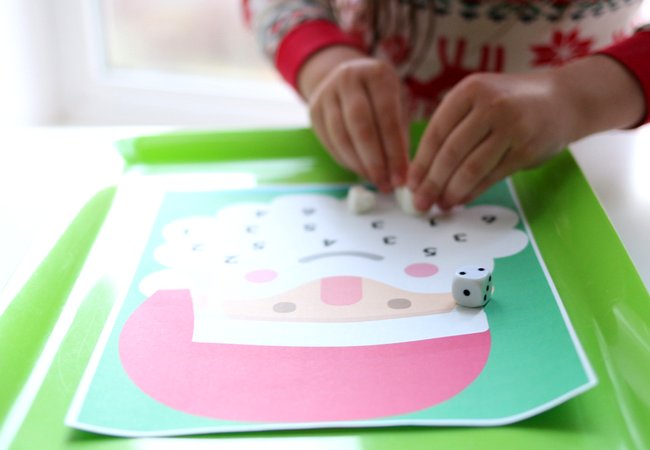 The objective of the game is to fill Santa’s beard; you can play solo or print two out and play against someone else. 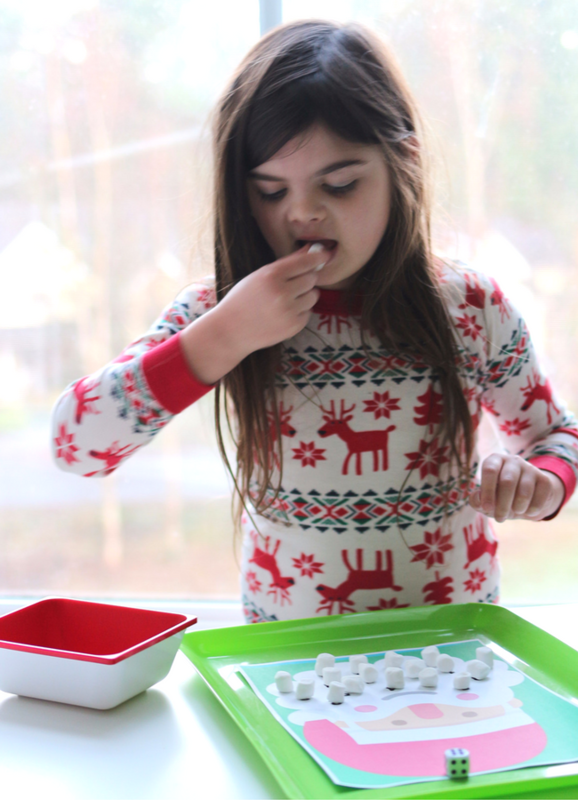 My daughter always preferred to play solo working away quietly, and my son loved making it a competition. 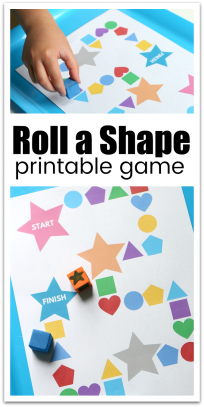 The good thing is is that the game board is a free download so you can print out a bunch to play against each other or just one for solo play. Pour the marshmallows into the dish. 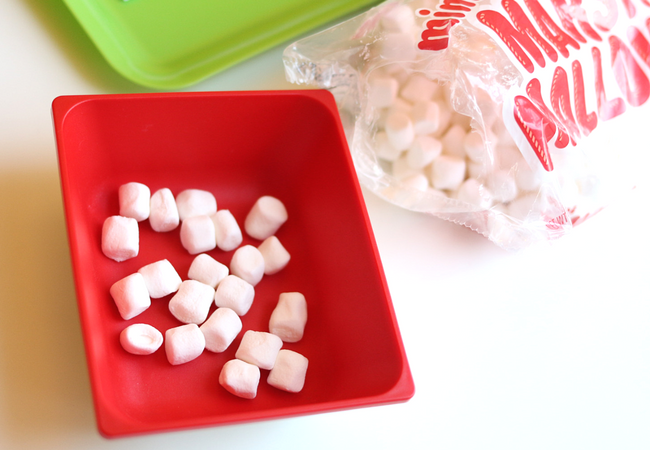 I added four extra mini marshmallows into the container. I did this because I told my daughter if she plays without eating there will be extra for her to have at the end. This strategy has worked for my kids for years. 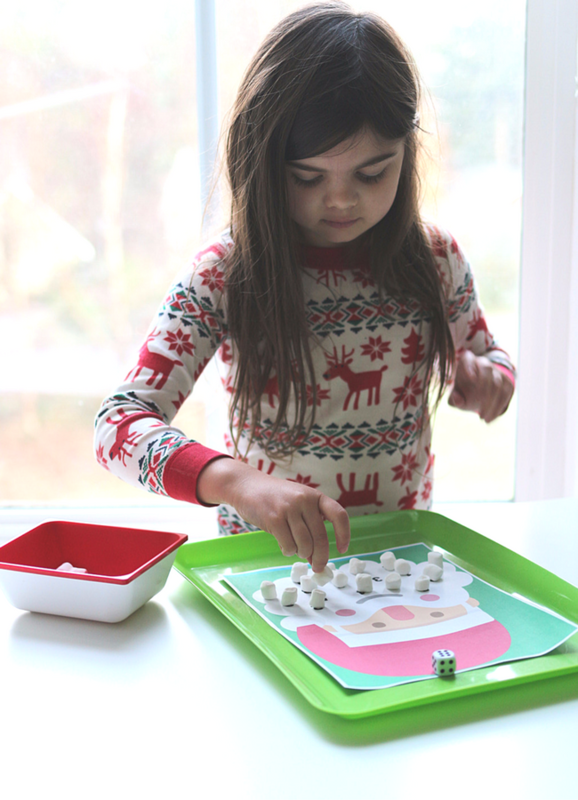 When children use dice, they are learning and practicing a skill called subitizing. Subitizing sounds complex but it’s pretty simple, it is the ability to recognize amounts without counting them. 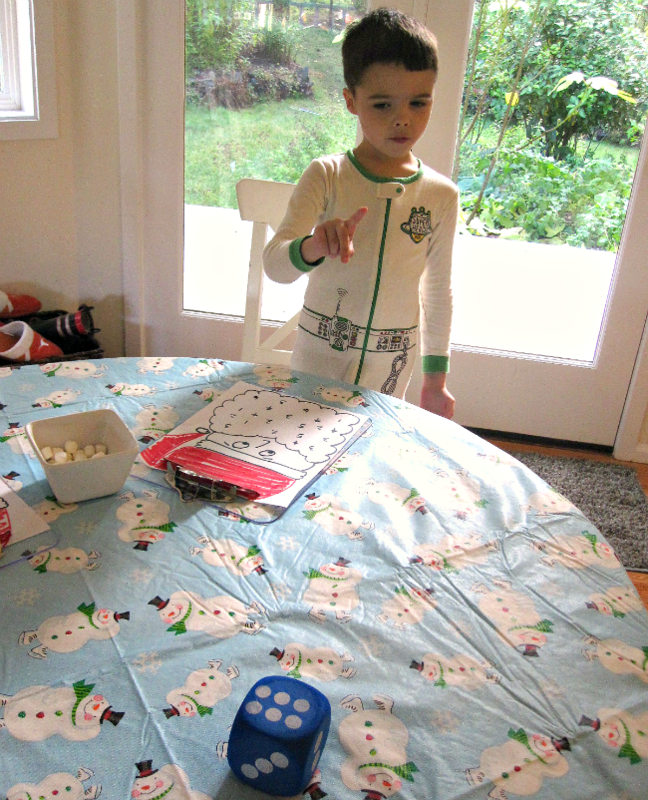 You will see young preschoolers counting each dot on the die, and that is GREAT do not stop them from doing that, eventually, with lots of fun and dice games, they will recognize the amount without counting. 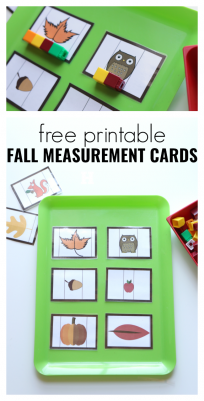 This skill is an important for higher math much later in your student’s or child’s development. 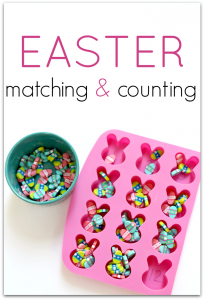 For more about subitizing this blog post explains it well! When children are searching and finding the correct number they are working on number recognition. 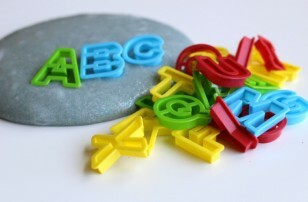 You are probably more familiar with why this skill is important, but what is even more important is not just naming the digit but connecting the amount to that number. 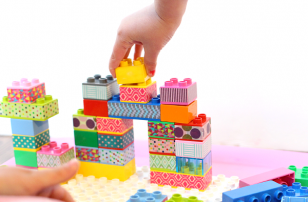 This game allows children to playfully work on all these skills. A note about working with food. This is a BIG ( see my emphasis?) 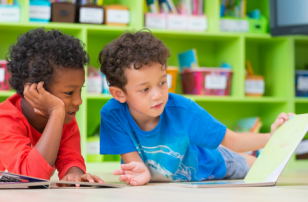 debate in early childhood education, there are children in our classes and in our care that have little food security and working with food can be especially upsetting. 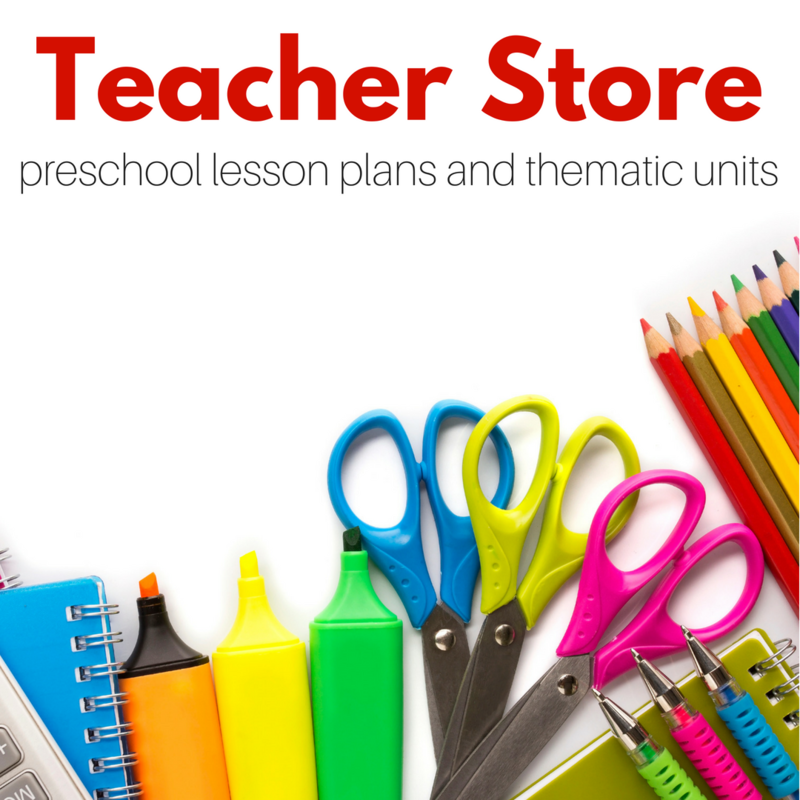 Part of developmentally appropriate practice is understanding and knowing your students. 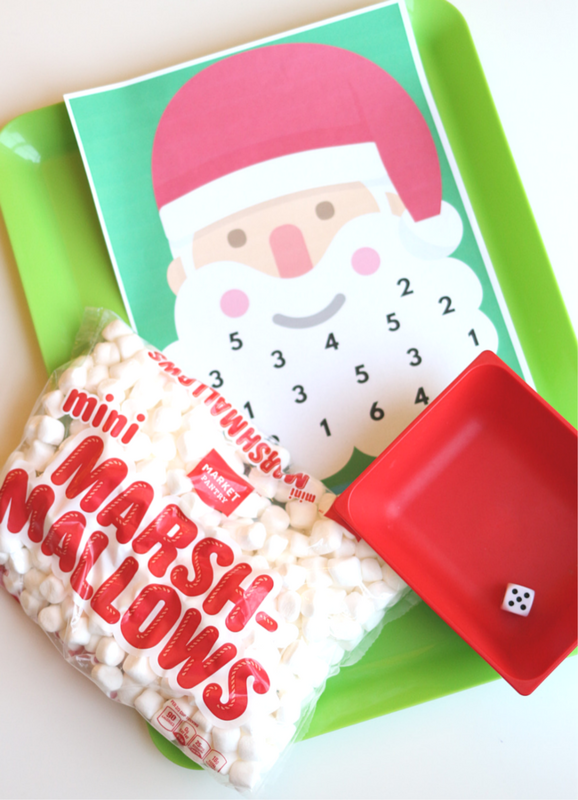 If using marshmallows is not appropriate for your class find an alternative like buttons, pom poms, or bingo chips. That said I don’t think that working with food is inherently bad especially food like marshmallows or candy. The food is still being used for a good purpose, in this case not for eating but for learning it is not going to waste.